You asked, and we listened! Finally, the Tex Moc slipper in womens sizing! 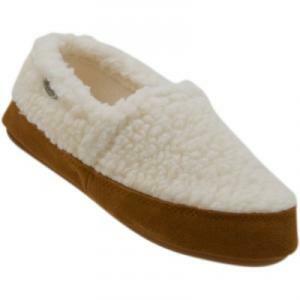 Fuzzy moccasin-style slipper features a supersoft, moisture-wicking fleece lining and weatherproof sole with skid-resistant treads. Slightly raised heel. Ecofriendly, comfortable, and stylish. With a cozy look and feel these slippers are as comfortable as they are in style.